Imagine Dragons, the Grammy Award-winning, hit-producing band, with music that is marvelously both rock-out-ready as it is radio-ready, stops by the massive United Center to rock over 23,000 fans this Wednesday night. The Sin City-based rock band was formed in 2009, and has spent the last 7 years growing from humble beginnings, to millions of fans. 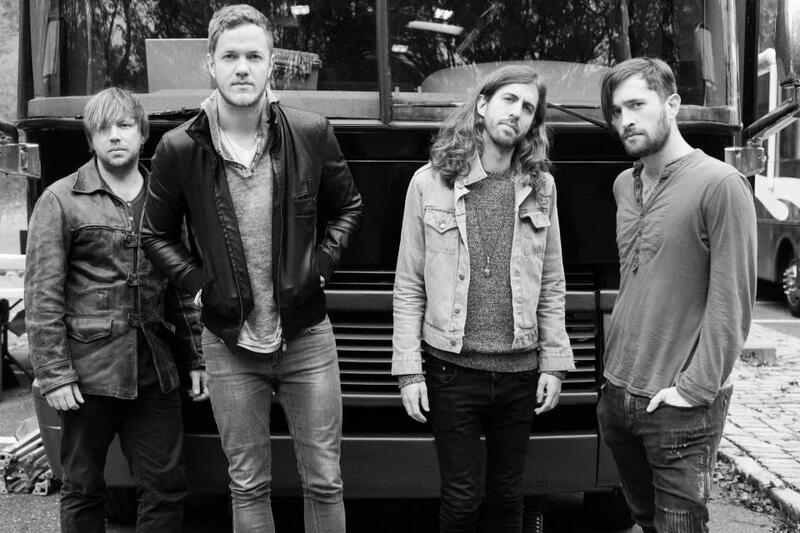 Now comprised of members Dan Reynolds (vocals), Daniel Platzman (drums), Wayne Sermon (guitar), Ben McKee (Bass), this band used to scour for venues to allow them to perform their early EPs. Now, they sell-out arenas and are embark on tours non-stop. While their first few Eps built a regional following, it was their third project, It’s Time, that started it all. This project eventually caught the attention of Interscope Records, and earned them a record deal. After touring for almost 5 years straight, Imagine Dragons has become one of music’s most iconic Rock bands. The unique sound of Imagine Dragons can be described as arena-ready, Pop/Rock anthems, that are both creative and explosive. Their award-winning debut album, Night Visions, debuted at #2 on the Billboard Hot 200 and was eventually certified double platinum. This album also contained their monster hit, “Radioactive” that originally launched the band into stardom. Their sophomore album, Smoke + Mirrors, debuted at #1 and included tracks such as “I Bet My Life” and “Shots”. Subsequently, the band could branch out to other platforms, such as film. With their contribution to “Sucker For Pain”, the stand-out record from the Suicide Squad soundtrack, the group was able to show their versatility. Now making music in the freedom of their own self-built home studio, it appears Imagine Dragons is only going to continue their upward rise, and keep their control over the Rock music scene. Tonight, this celebrated band packs the United Center, bringing with a fury of emotional, hard hitting vocals on top of thunderous drums. Their music is authentic, true, and genuine to their lives, while still having the ability to relate to a stadium full of fans.